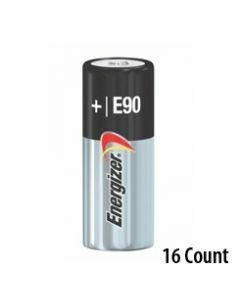 Buy the Energizer E90 battery in bulk and save. Medic Batteries carries discounted, high quality bulk Energizer N batteries and properly stores them in cool, dry facility. The Energizer E90 battery is used to power photography devices, calculators and other electronic equipment. Bulk Energizer N batteries from Medic Batteries ship free and have some of the best bulk price Energizer N around! Trust Medic Batteries with your bulk Energizer N batteries!